Windows 7 is a great operating system, and you can make it greater still with a few well chosen downloads. From system cleaners to photo editors and password rememberers, these are a few of our favourite free Windows things. AVG is the world's most downloaded anti-virus program, with good reason: it does an excellent job of nobbling nasties without slowing down your PC or annoying you with unnecessary alarms. The free version doesn't include everything the paid-for version does – there's no download shield for files or anti-spam for email, for example. But it does provide solid protection against viruses, spyware and other malware and warns you of potentially fraudulent web links. If your PC feels sluggish or buggy, a good spring clean can help restore its vim and vigour – and when it comes to spring cleaning, few programs do it better than CCleaner. 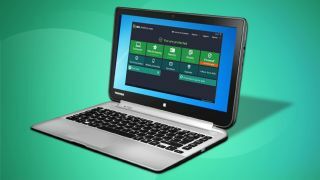 The free version works on single accounts – if you want to automatically clean multiple accounts you'll need the paid-for version – and it does an excellent job of removing unnecessary files, fixing issues in the Windows registry and sweeping your hard disk for the electronic equivalent of cobwebs and spiders. Evernote isn't just a program: it's a platform. It's designed to organise all kinds of information – text, web links, photos, documents and so on – and make them available on your computer, tablet and smartphone. There are also task-specific apps that enable you to use Evernote as a recipe organiser or to collaborate on documents as part of a work team. The basic program is an excellent place to store your stuff. There are many web browsers for Windows, but despite stiff opposition from Google Chrome, Opera and the rejuvenated Internet Explorer, Firefox is still our favourite. That's because it isn't just a web browser. Its massive collection of themes, extensions and add-ons means it's a kind of Swiss Army Knife for the internet, capable of doing pretty much anything you might want to do online. It's fast, flexible and fantastic. GIMP, the open source image editor, has lots of features you'd expect to pay big money for, but its price tag is zero. It's not as easy as some other programs – if you're an absolute beginner to digital imaging you'll find the free paint.net easier to get to grips with – but it offers pro-level tools at a pauper-level price tag. If you need to edit images, adjust photos or create new compositions, this one is a must-download. Every time a big site gets hacked, we discover that most people's passwords are pretty awful. The world's most common password is the rather easy-to-guess 123456 – with 12345678 and 'password' also in the top three. People tend to use simple passwords because remembering complex ones is very difficult, and that's where LastPass comes in. It works across browsers and devices, generating unique and very tough passwords and recalling them whenever you need them. It's a much better idea than using the name of your first pet, your car registration or your favourite football team. If you haven't already pledged allegiance to a rival photo sharing service, Google's Picasa makes it really easy to organise, edit and share images. It automatically compresses images you send in emails, it can be used to back up your images to prevent digital disaster, it's compatible with most digital photo and video cameras, and it includes a host of filters that you can use to make your images even more eye-popping. Think of Recuva as a first aid kit for your PC: you hope you'll never need to use it, but if you do you'll be awfully glad that it's there. Recuva is there for those "oh no" moments: the moment you empty the Recycle Bin, only to realise that you've just zapped an important file or photo; the moment your computer crashes, destroying hours of work; or the moment when you insert the memory card from your holidays and your computer says the card is corrupt. It can help you get access to damaged hard disks, recover deleted emails and iPod music, and it can even bring unsaved Microsoft Word documents back from the dead. It's rather like a remote control for your life, enabling you to travel back in time to the moment before something dire happened to your data. If you need Microsoft Office-style software but can't spare the cash, there are plenty of alternatives. Unfortunately some of them are online-only affairs, which isn't ideal if you can't be constantly connected. If you're looking for free office tools that you can download to your desktop, we'd recommend the excellent LibreOffice. It covers everything you might need from word processing to spreadsheets and presentations, and it can also read Office's file formats such as DOC and DOCX. VLC is a media player that can play pretty much anything – and it can do it without having to download a whole bunch of codec packs for audio and video. Ad-free, spyware-free and completely free, it can deal with any kind of media – even damaged video files. It can stream media directly from online sources too.